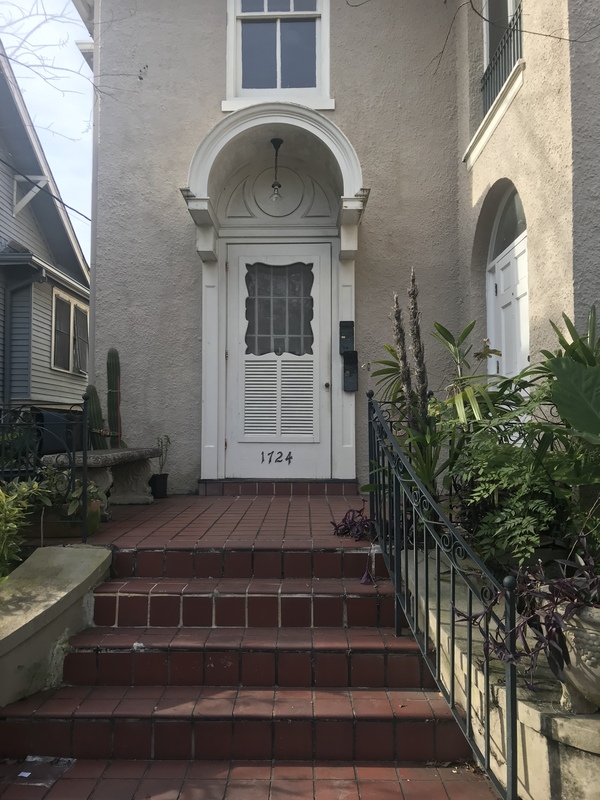 The crux of the issue with this house is that the landlord refuses to buy/pay the city for a second garbage can for the apartment. It’s ridiculous that you can collect rent but also not be forced to provide the address it’s own trash receptacle. This doesn’t excuse the students their laziness for throwing trash on the side of the house though. it’s been sitting like this since at least Friday, February 2. The yard debris has been sitting out since Saturday afternoon. I gave it until today since today was a trash day. I didn’t have high hopes it would be picked up. And I was correct. According to Sec. 138-43. – Residential bulky waste placement and collection. 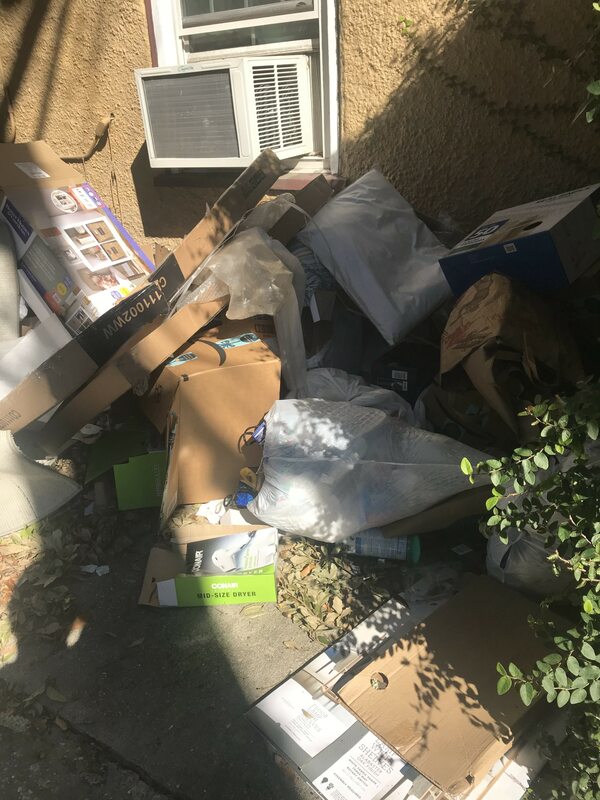 (i) It shall be a violation of this section to place unacceptable bulky waste items, bulky waste items exceeding ten cubic yards, or improperly placed bulky waste items out for collection. 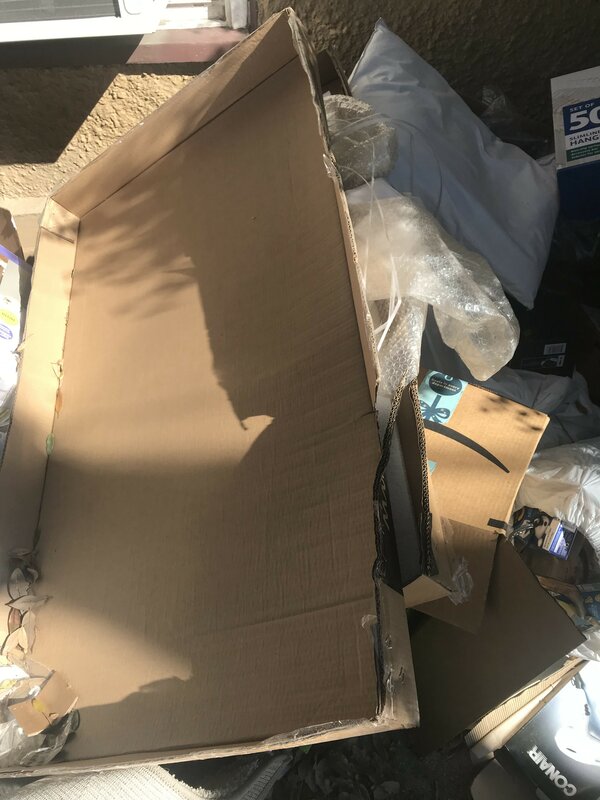 The responsible party shall remove and dispose of all bulky waste improperly placed, bulky waste exceeding ten cubic yards, improperly containerized or bundled, and any unacceptable items of bulky waste at their own expense. Looking over that, the amount of trash they have out needs to be hauled away privately. I suspect it will sit there a while. 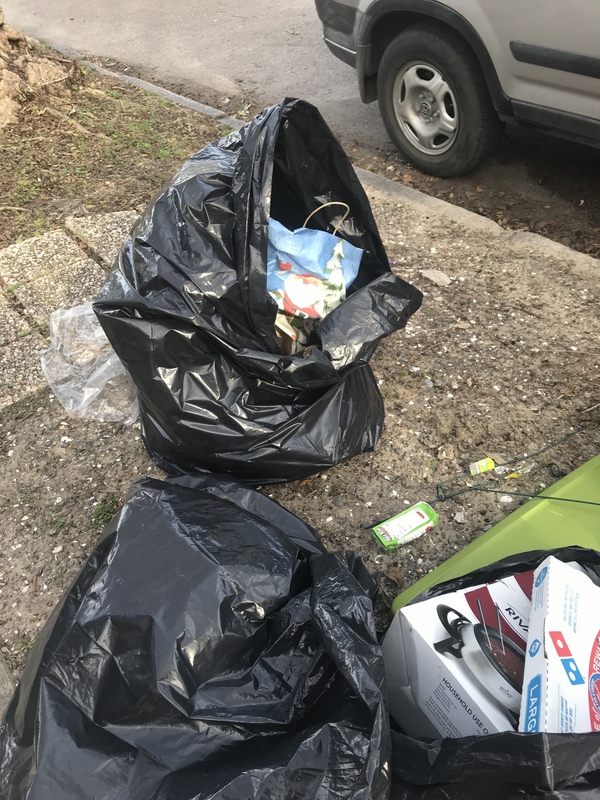 When I woke early to walk my dog today, I noticed the 1700 block of Broadway/Audubon Street had more trash out than usual. This area is at least 75% Tulane students. Plus 2 houses under renovation, one which will be more rentals. Just what we need. 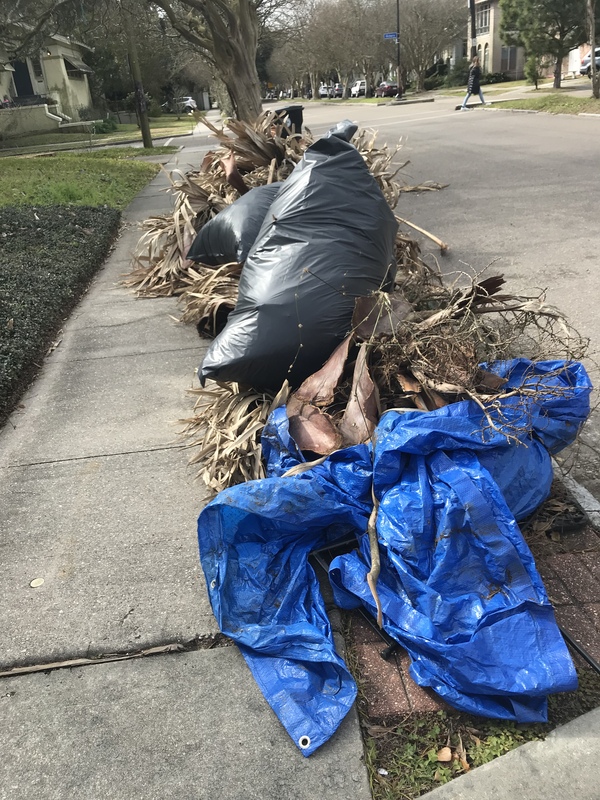 Between party trash and contractor trash,I filled a whole garbage bag. Honestly Uptown, we can do so much better. This looks like they are getting into Marie Kondo or moving out. Either way, this trash is not properly bagged. 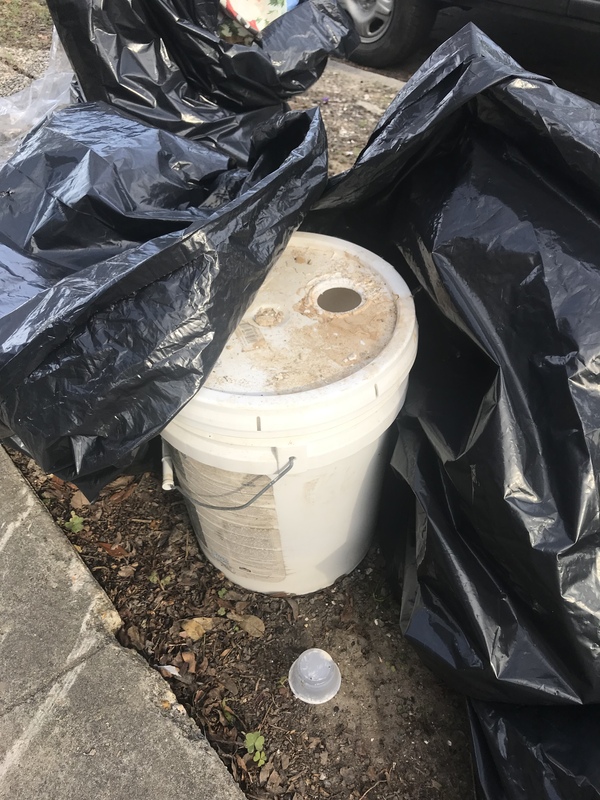 Plus you can’t set out paint to be picked up with regular trash. Same goes for electronics. Sec. 138-47. – Improperly prepared refuse not collected; improper carts taken as trash. Only city-owned roll carts shall be used for the collection of household and small commercial business waste. Only garbage and trash placed in the roll cart will be collected. 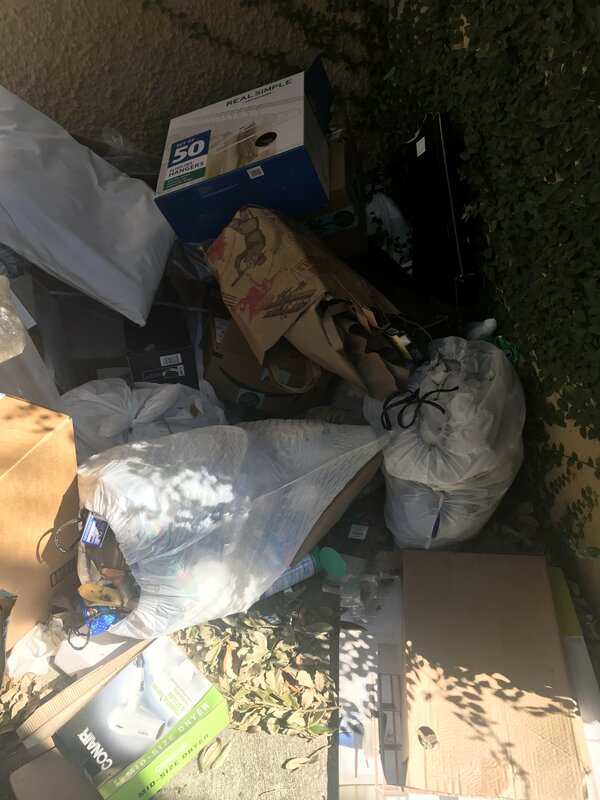 Garbage or trash deposited into unauthorized containers and cans, or bagged garbage (not yard waste) separate from the roll cart will not be collected, unless a properly authorized exemption has been granted. 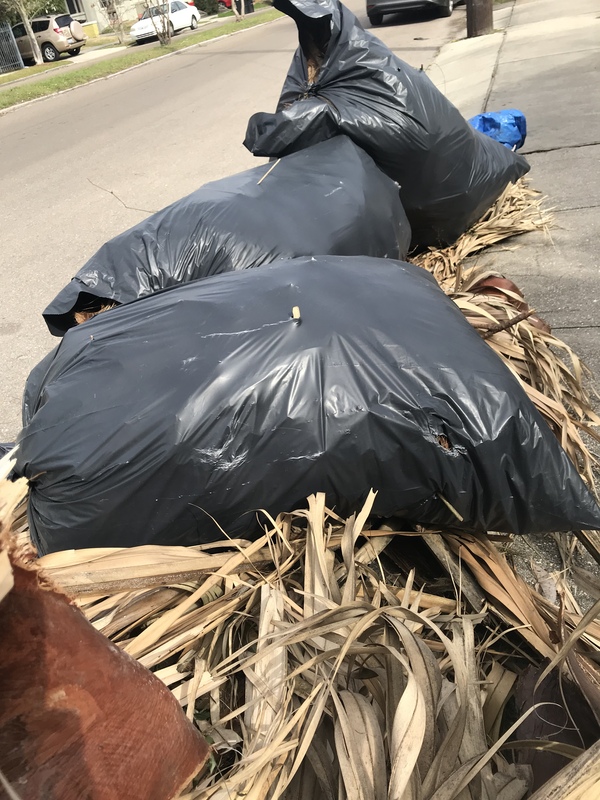 Only bags containing yard waste will be collected. 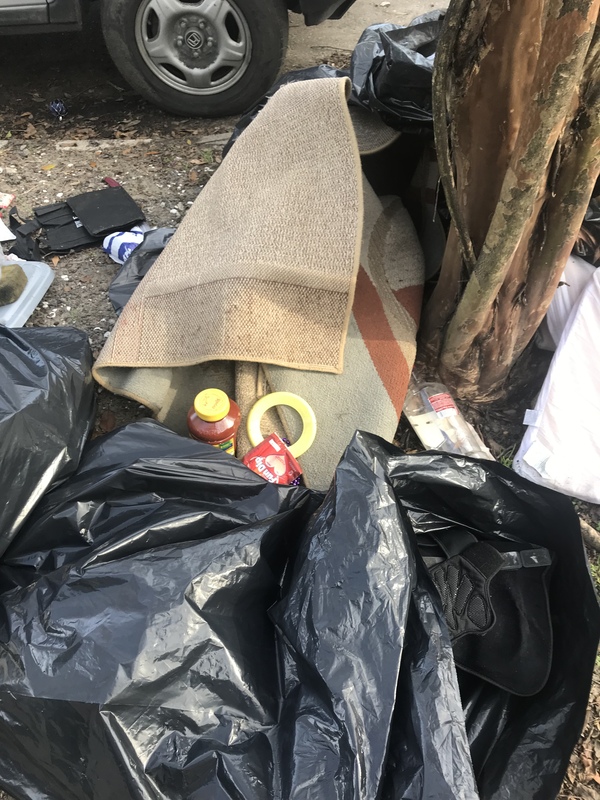 The director of the department of sanitation may refuse to collect garbage or trash whenever such refuse is not contained in a city-owned roll cart or the residence or business has not been granted a properly authorized exemption. 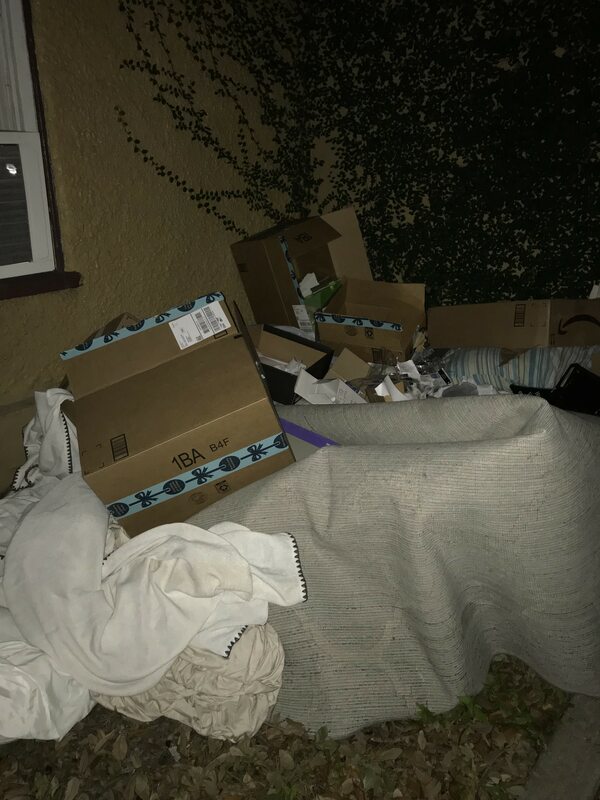 Any other trash or garbage cart shall be collected as trash after notice has been given to the occupant or agent that such cart is not authorized and is unfit for use. Sec. 138-50. – Hazardous wastes. The disposal of toxic or hazardous waste which may create a condition harmful to the environment, shall, at the owner’s expense, be rendered safe and sanitary prior to delivery to the waste disposal facility. Sec. 138-56. – Disposal of unusable television picture tubes. It shall be unlawful for any person to dispose of or to put out on a public street or walkway any television picture tube. Such tube shall be devacuumized by a licensed television technician who shall dispose of same at a city refuse disposal facility. New residents moved in and apparently they have no idea how garbage works. They’ve been piling up the trash on the side of the house. I was willing to give them the benefit of the doubt after first moving in but its been about a week now. And it’s just getting worse. I called the property owner but was met with resistance. Sec. 138-39. – Placement in carts. 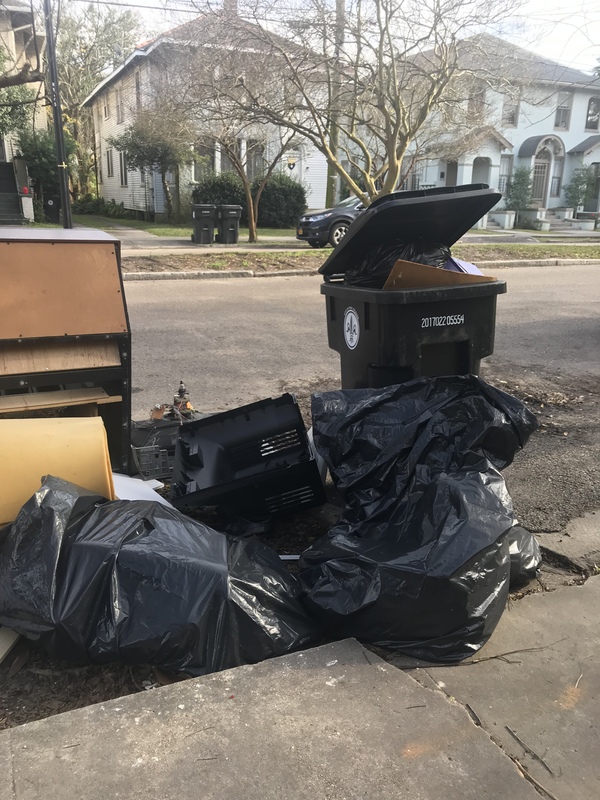 It shall be unlawful to place out for collection garbage or trash that is not properly contained within a city provided roll-off cart; to remove cart covers or otherwise vandalize carts; to overfill a cart such that the lid does not close to where it is in contact with the rim; or to disturb the contents of carts after they have been placed for collection. 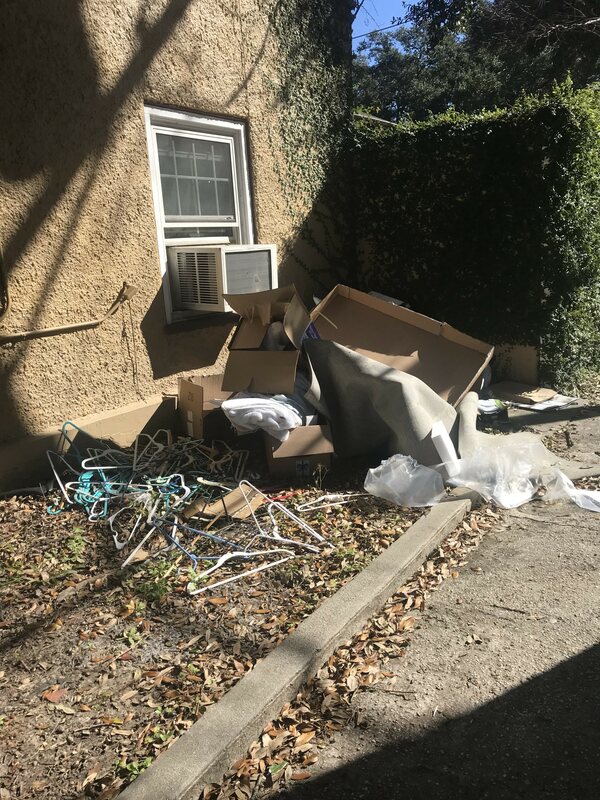 All owners and occupants of any building, house, structure or grounds shall be responsible for the cleanliness of their premises and alleys immediately adjacent to their premises. All business owners and managers of stores, restaurants, markets or stands shall be responsible for keeping sidewalks adjacent to buildings occupied by the business in a clean condition. 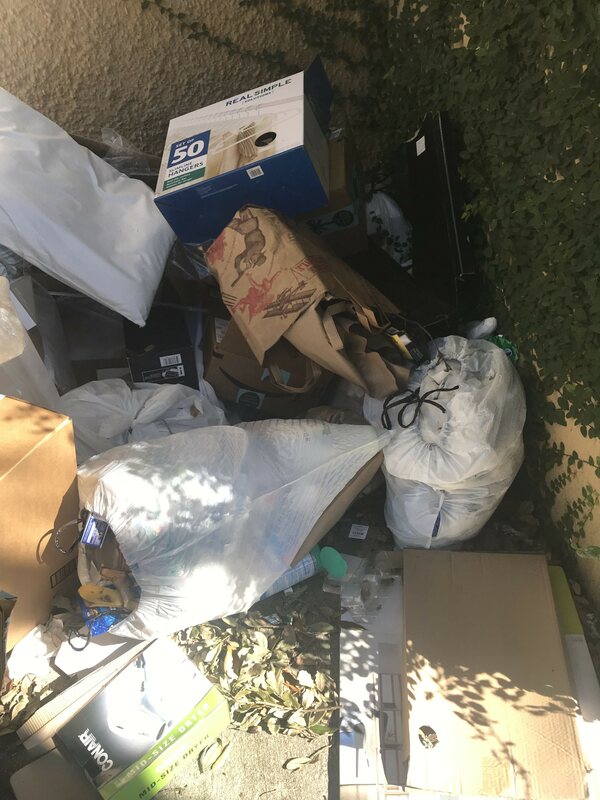 Anyone who sweeps paper, trash, litter, dirt, or other waste material into the streets or onto the sidewalks or other public ways adjacent to such stores, restaurants, markets or stands shall be responsible for proper cleanup and disposal of such litter. 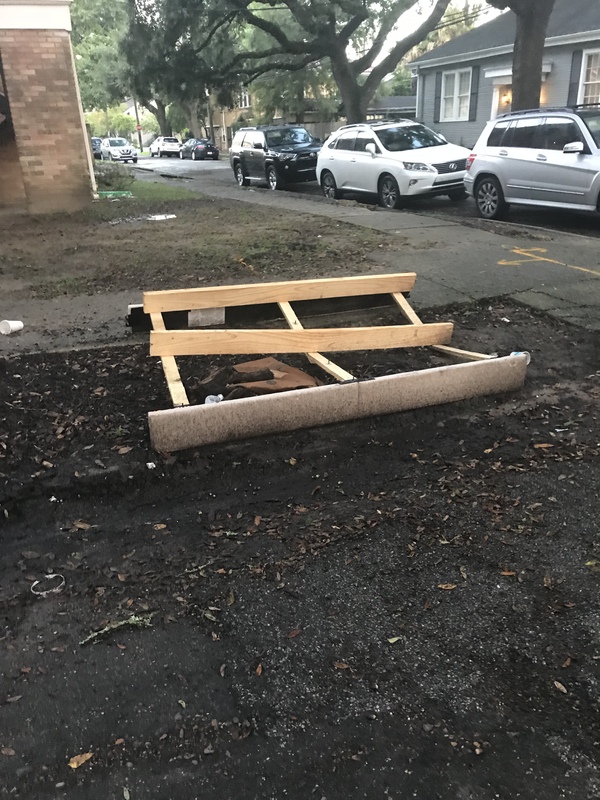 I was away for a few days and came home to see this bed frame still sitting out side of 1736. Its been close to 10 days now. Sec. 138-43. 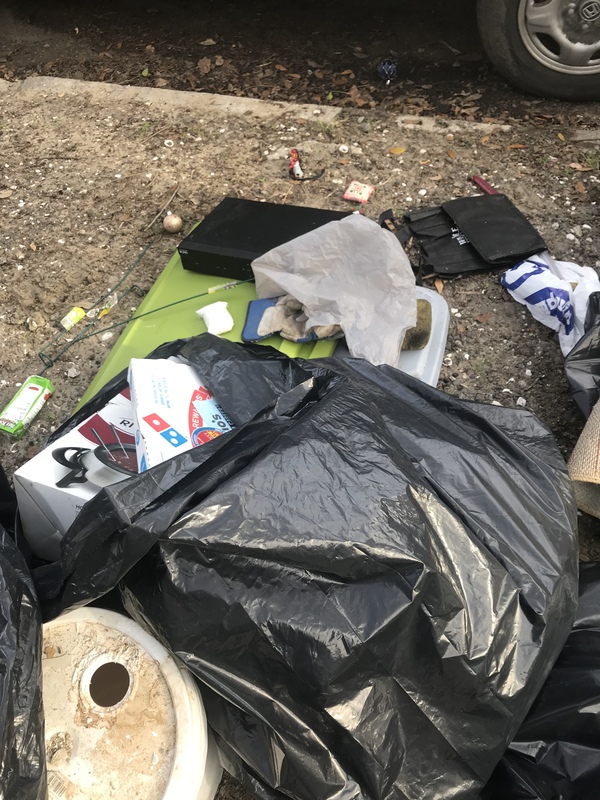 – Residential bulky waste placement and collection. 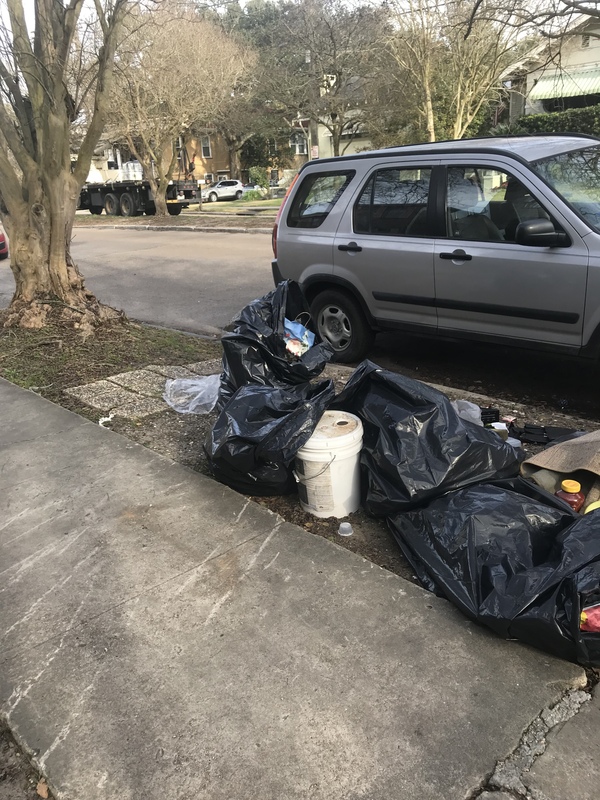 (a) The city will collect bulky waste a maximum of once per week on the first regularly scheduled day for pick-up of solid waste or on an “on-call” basis. 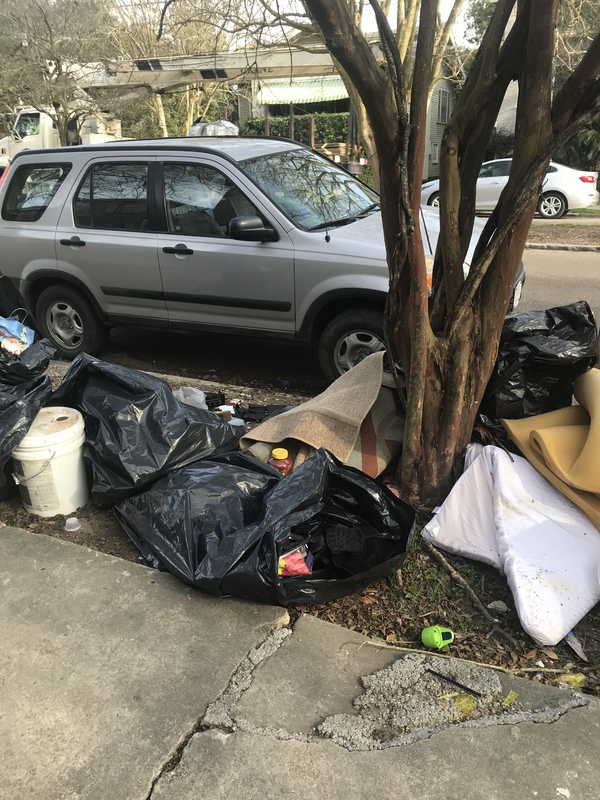 The resident shall be responsible for calling or emailing the city’s solid waste collection contractor to schedule an appointment for bulky waste collection. 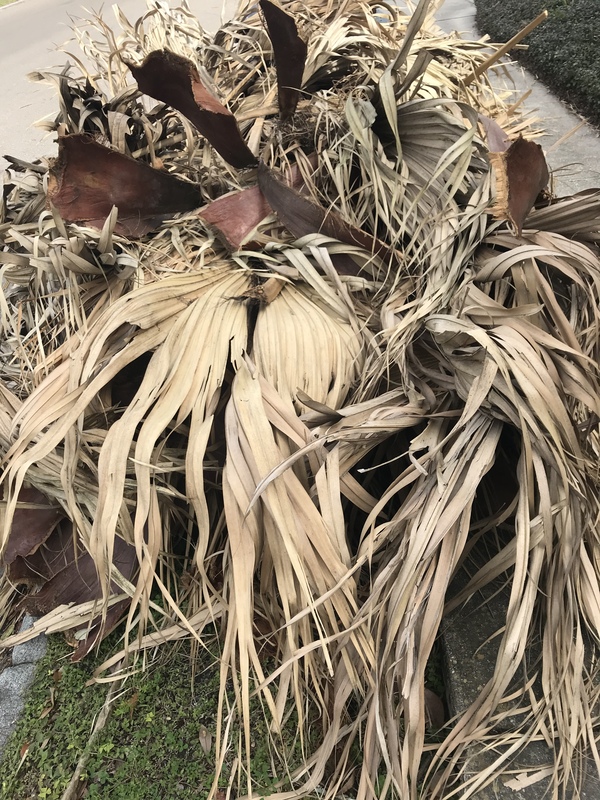 Bulky waste shall be placed out for collection no later than 5:00 a.m. on the scheduled collection date and no earlier than 4:00 p.m. of the day prior to the scheduled collection day and must be placed in resident owned containers or heavy duty garbage bags. 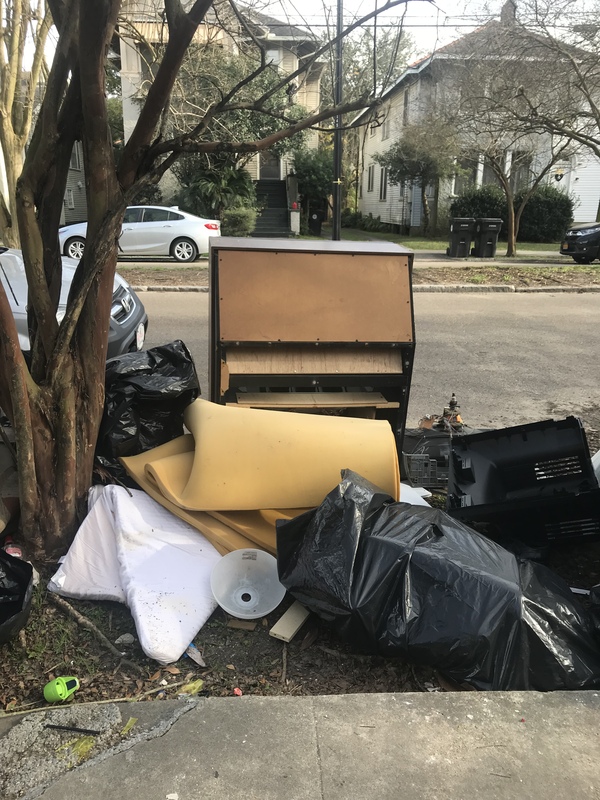 It shall be unlawful to place bulky waste out for collection prior to the prescheduled appointment or scheduled collection day. 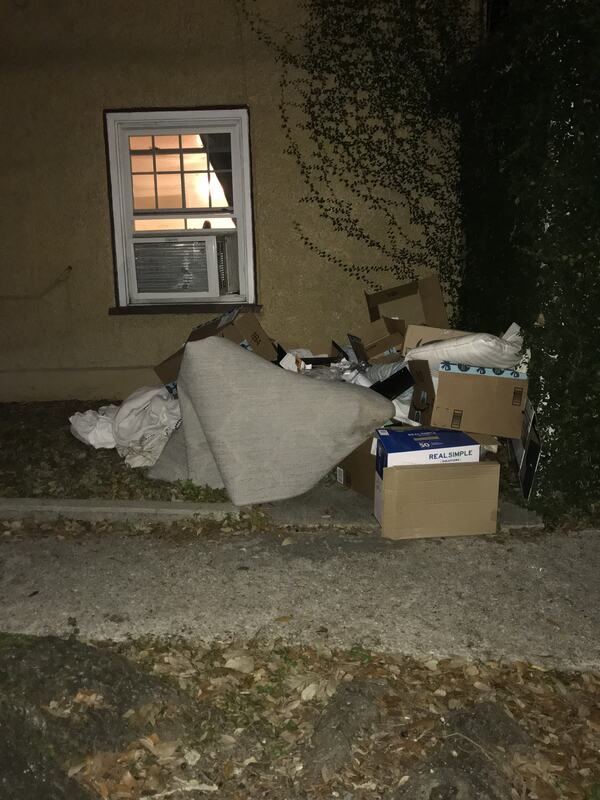 This house has been a trash nuisance since school started. The trash is thrown in the recycling can and the regular can has unbagged trash. Because of the violations, Richard’s won’t pick it up. So now, the trash will sit. 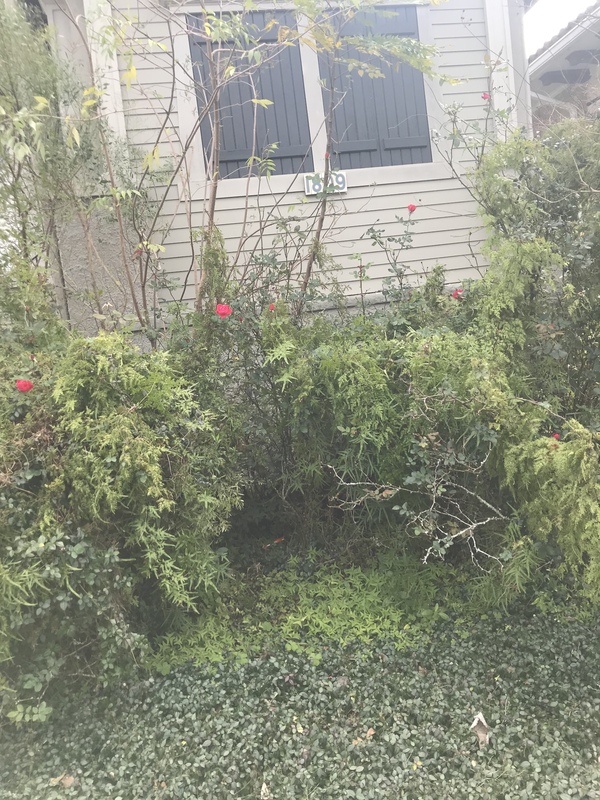 And it’s piled up on the side of the house as well. Straight up disgusting as well as a health issue.